One of the joys of visiting the parental home is the opportunity to raid the parental bookshelf. Usually I either come away with four-five books in my arms or just give up after an hour of browsing. Too many books, too little time during the visit. But this time around, I had barely started digging when I found what I immediately knew to be treasure. I hadn’t even heard about the book before, but its gorgeous cover would have drawn me in anywhere. Bookworm: A Memoir of Childhood Reading by Lucy Mangan, it said. I decided to forgive the rather pedestrian title and read on. Reader, it really WAS treasure I had discovered. 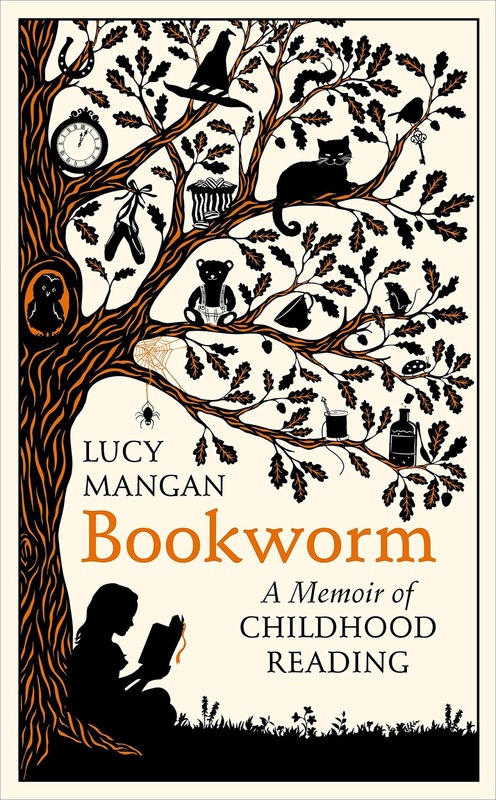 Lucy Mangan writes about a bunch of books she read and enjoyed as a child in England in the seventies and eighties. That sounds a bit boring, doesn’t it? Why would anybody want to read about books that somebody else read thirty years ago, especially when they haven’t even heard of many of the said books? But Bookworm wasn’t boring at all. Initially, I thought I was enjoying the book so much because of Mangan’s chatty tone and bookish insights. She places the books in context, with stories about the authors and how they came to write that particular book. She is quite funny too - I laughed out aloud several times while reading (startling my family in the process). But it is much more than that. The book was enjoyable because, as a fellow bookworm who also spent most of her childhood with her nose in books, I completely understood where she was coming from. The actual names of the books don’t matter at all. She’s writing less about the books themselves and more about the pleasure she found in them, the worlds they took her to, the myriad ways they opened her mind. “Do we ever manage again to commit ourselves as wholeheartedly and unselfconsciously as we do to the books we read when young? I doubt it,” she says. Along the way, she also detours into associated areas such as the history of picture books (not even two centuries old, did you know?) and why re-reading is so important for children. I admit that, as a reader, I was probably a better fit than usual for this book. The first chapter is an evocative mix of the author’s early memories of being read to by her father, and her own recent experience of reading to her five-year-old son. Since I’m in a similar stage myself right now (my son is almost four and LOVES being read to), I couldn't have NOT enjoyed it. Of course, we Indians have a slight advantage in reading this book; thanks to our colonial hangover, many of us have grown up reading books that an Irish girl in London read in the seventies (most notably Enid Blyton books). And of course she mentions many books that have been considered classics for decades now (Alice in Wonderland, The Railway Children, Anne of Green Gables, etc). All of this doesn’t make for much racial diversity, of course - a charge she herself freely admits. If I have one quibble, it is that she doesn’t write at all about the new books and authors that she and her son must surely be discovering together now. What about Julia Donaldson, I ask. Or Oliver Jeffers? Surely they deserved at least a mention? But no, she sticks firmly to her own childhood. Disclaimer: I received a review copy of this book in return for an honest review. 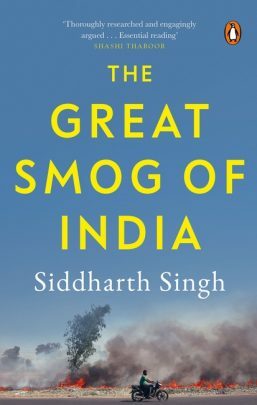 Siddharth Singh's The Great Smog of India manages to both scare the hell out of the reader and give hope where none used to exist. We all read the newspaper reports about the pollution levels in Delhi of course, but the consequences of those pollution levels on individual health (and therefore on India's health systems and its productivity as an economy) aren't quite so evident on a day-to-day basis. This is what TGSoI does well. It begins by summarizing the impact of the pollution levels. Then it delves deep into each of the causes of the rise in pollution each winter, whether it's industrial pollution or vehicular emissions or the burning of agricultural residue or Delhi's geographical situation or the unique administrative hassles of Delhi as a city, state and capital. The chapter on crop burning is done particularly well; it makes it crystal clear why the farmers of Punjab and Haryana have no option but to burn the crop residue every year, and why it's a comparatively recent phenomenon. I was surprised to learn that solutions to the crop burning issue do actually exist. The reason they are not being implemented is lack of finances, combined of course with lack of political focus. The book makes for grim reading. The problem seems insurmountable, its causes so numerous and varied and its consequences impacting so many people. Most importantly, the solution would require many widely different sections of people, not necessarily in political alignment with each other, to act in concert. Despite this, the author manages to end on a hopeful note. If London can escape the pollution-linked smog caused by coal, and if China can reduce its deadly pollution levels by switching from coal to cleaner fuels, surely there's no reason we can't either. This book is essential reading for anybody living in Delhi or its surrounding areas. The only problem is that you'll want to run away from home after reading the very first chapter! My first introduction to mythology was in Malayalam. Long before I started reading Amar Chitra Katha comics, my mother had introduced me to Mali Bhagavatham and Mali Ramayanam. Mali was a great children's writer, who made mythology readily accessible to children in Malayalam. Devdutt Pattanaik appears to be doing the same for adults in an era where people don't have the time or the focus required to read accurate translations of mythological texts. Pattanaik helps them out by doing the "hard" reading for them, and distilling the essence down to accessible text. 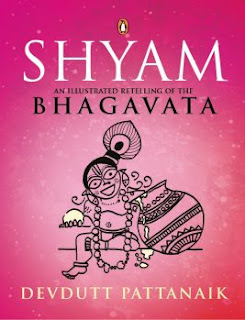 Shyam is the latest in a long series of such books, though it's the first one I've read. If you know your Sanskrit, you would know that Shyam means dark, and Shyam is another name for Sreekrishna, that most enigmatic of the avatars of Vishnu. Born to royals Devaki and Vasudeva, but raised by cowherd Nanda and his wife Yashoda (because his uncle Kamsa wants to kill him), Shyam grows up in a village but spends most of his adult life advising kings and (almost) ruling his own city. The book is divided into sixteen chapters, each containing stories from the various roles Krishna played in his life. Starting with Avatar (which tells us the reason Vishnu had to take the Krishna avatar), the book goes all the way to Elder, moving through roles such as Infant, Cowherd (during his adolescence), Lover (of the gopikas), Husband (to his sixteen thousand wives), and Charioteer (to Arjuna during the Kaurava-Pandava war). The book is clearly based on a lot of research, presumably cross-referencing a variety ancient manuscripts, and also learning about the cultural significance of each story in different parts of India. Pattanaik doesn't shy away from talking about aspects of Krishna that modern day macho Hindus would rather hide - his comfort with his feminine side and cross-dressing, for example, or the fact that his skin is actually coal-black and not the Ujala-blue depicted in comics. 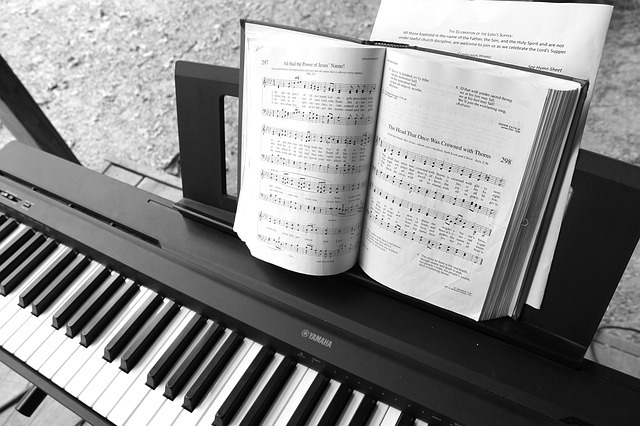 But in trying to make the book accessible to the lay reader, the author has had to sacrifice a lot, too. Mythological stories contain a lot of nuance and drama that don't translate well into Pattanaik's workman-like blocks of text. Stories that could have been truly horrific in the hands of a decent writer are laid out for the reader sans emotion (and sometimes even sans context, it feels like). I also wish the stories had been strung together better, showing the chain of causality so that we can understand WHY people behaved the way they did. A lot of people read Devdutt Pattanaik's books for spiritual understanding, but I have to admit that the spiritual lessons were underwhelming for me, especially near the end, where Krishna advises Arjuna (the base for the Bhagavat Gita). But then I'm not particularly spiritual, so that may just be me. Overall, it was an interesting introduction to a genre of Indian writing I've happily ignored so far (even when friends and colleagues raved about it). But will I be picking up another Pattanaik book based on this one? Probably not. I did most of my schooling in a government school, where I had mandatory yoga classes as part of my syllabus for a few years. Looking back now, it seems quaint. Who thought that kids would find yoga interesting? How did it get into the syllabus? Were there no left-liberals back then to protest its inclusion? Or was yoga seen as secular back then? I have no idea. In my school, all non-academic subjects (Art, SUPW, Yoga) had classrooms of their room. The yoga teacher had a large and airy room to himself in what was called the Science block. 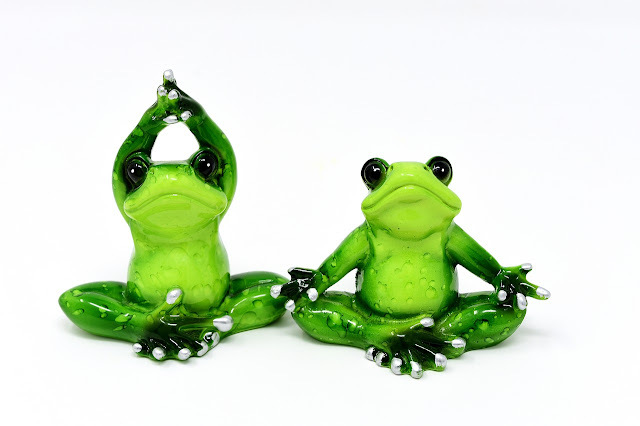 We had yoga classes twice a week, and we would form our lines and go to the yoga room in crocodile fashion. The yoga room had a wooden desk and a wooden chair for the teacher, and coarse and ratty red carpets for the students to sit on in long lines. We had to leave our shoes outside the room, and of course the boys had to sit on one side and the girls on the other. Our yoga teacher was quite a specimen. He was tall and thin and pale yellow and almost bald. He had a voice that was one notch above Mute, and an air of otherworldliness, as if most of him lived on some spiritual plane from where he could scarcely be bothered visiting us mere mortals. He was timid, and sometimes blinked furiously when trying to explain things. None of this, of course, helped him control a room full of noisy tweens and teens. His name was Something-or-the-Other Potti, which should have made his nickname obvious. But give us government school kids some credit - we didn't go for obvious nicknames. We named him Kokk (stork), in honour of his elongated neck. Over the years, many generations of kids must have called him that, and he must certainly have been aware of the nickname. Some daring kid had even scrawled the name (KOK) on the dusty window panes in his class room. That scrawl remained remained there for many years - it may still be there for all I know. Mr Potti (I will call him that at least now, twenty years later) had, at some point or the other in his long career, given up on ever passing on any of his knowledge to his students. And I think that was a very good call on his part. Not only was he temperamentally unsuited to the task, his chosen subject was one that held very little interest for a bunch of kids. You see, twenty years ago, yoga didn't have the glamour that it has now. Today, yoga can come clad in lycra and spandex if you want it to. But back then -- well, if it was clad in anything at all, it was probably boring saffron. Mr Potti didn't help matters by sometimes trying to read spiritual stuff aloud to us from his books. I say "trying to", because his breathy voice didn't carry far, and unless you were in the front row, it was unlikely that you would hear anything at all. The class would become silent each time he started reading aloud. Gradually it would become clear that there was no point in listening because you could hear nothing anyway. And then one by one, the kids would start talking, until gradually the room would become so deafeningly loud that Mr Potti would break off from his reading and bang his arm on his wooden desk in ineffectual anger, and then we would become silent again. And on it would go. Yoga, in effect, was a free class for us, with very little actual practice. I used to feel sorry for Mr Potti back then, I remember (even while calling him Kokk behind his back). But looking back now, I realize that it's probably because of those classes that I've always had an aversion to yoga. Even after it became fashionable, and everybody I knew was signing up for it, I stayed away, because I associated yoga with boredom and with being just a little bit pathetic. But now, at long last, twenty years later, that curse has been broken. Thanks to an awesome app*, I've started doing yoga again, and it has been amazing. Yoga, I've discovered, need not be about spirituality. It can just be something you enjoy doing, something that challenges you, something that helps you understand your body better. Yoga can be accessible, it can be whatever you need it to be. As for Mr Potti, I suppose he must have retired long ago. I hope more of his ex-students rediscover yoga and its life-changing benefits. I read somewhere recently that reviewing a book is all about giving it an identity. If that is so, how do you review a book of short stories? Each story has its own identity. The easiest way to do so is to write one-line reviews of each short story. I have done it before, and it's the coward's way out. The other way is to look for common themes in each of the stories - what ties them together? Anjum Hasan's A Day in the Life is about the common man and woman, the ones who seem to be doing nothing spectacular with their days, and yet the very fact of their life is fascinating in itself, if seen through the right lens. And so we have a man who has taken a step back from corporate life and settled in a village. Or a woman who is sick and stuck in her high-rise apartment. A newly married woman trying to settle into married life. There are two little girls in search of that elusive thing called style. A mother struggling to get back to her thesis writing while looking after her young daughter. A bedridden old woman, waiting for death in her nephew's house. A young man who wants to buy his bride-to-be a sari of expensive Banarasi silk, in the Banaras of the nineteenth century. They are all very real people; surely there must be hundreds or even thousands such everywhere. Anjum Hasan's talent lies in bringing them to life in her precise and laid-back style, and making them interesting and relatable. Her stories have a very "material" quality to them, as if you can hold them in your hands and examine them, pick them apart if you wish to. As always with her, it is the Bangalore stories that stand out (or maybe those were the ones I related to the most). In the story "I Am Very Angry", an old man tries to get used to his new neighbours, who fight too loudly for his liking (his new neighbours seem to be a metaphor for the changes in the city around him). 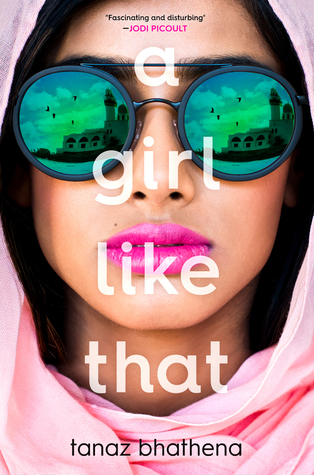 In "Nur", a young Muslim girl tries to find out where her no-good husband has gotten to. In "Sisters", a sick rich woman who is stuck in a high-rise builds a sisterly bond with her forthright maid, who nurses her back to health. Each story showcases a different aspect of this varied city. Overall, this is a book of stories that will stay with you. Days or weeks or months after reading it, you will suddenly recall something from it, maybe a line or a smell or an incident, and try to recall from where, because it will feel as real as if you had experienced it yourself, and then remember that it was, in fact, a story you read in a book long long ago. Going almost blind into a book, not having read reviews at all, and not knowing what to expect, is something I haven't done in a while. The cover of A Girl Like That didn't promise much - I thought it would be your typical YA book, with a teenage heroine besieged by challenges on all sides and finally emerging triumphant, having conquered all. I was partly right, because it IS a book peopled mostly by teenagers. But BOY, was I wrong in every other sense. For one thing, AGLT begins with the death of its chief protagonist, Zarin Wadia. We see her looking down at the sight of the car crash that killed her. And instead of feeling sorry for herself and wondering why things have turned out the way they have, she can't wait to get away from her life; she feels glad that she has died. What, we wonder, can have been so bad in her life that she is glad that she is dead? Well, quite a lot, as it turns out. Her parents died when she was little, her aunt beats her, she has no friends at school. To top it all off, she is living in a repressive society where girls aren't allowed to even meet boys they are not related to. She has just one friend in the middle of all this - but the problem is that he is in love with her, and she doesn't feel the same about him. A Girl Like That is about everything that is most essential to us as human beings - the security that comes from knowing you are loved, the knowledge of where you fit into society, the safety of having a place to call home. No, let me be more accurate - it's about what happens when you DON'T have all these things. How self-destructive you become, how defensive, how confused. And yet, AGLT isn't a depressing book at all, somehow. It sparkles with life, with Zarin's little rebellions, her continuous attempts to get away from everything that she hates in her life. She manages to get herself little freedoms, despite shuttling between a prison-like school and a depressing home. The knowledge that a particular character is going to die soon doesn't usually result in much emotional investment, but in this case I was almost rooting for Zarin, even as she makes mistake after mistake, even after she rejects the one guy who could have helped her out. All in all, I think I will definitely be looking out for more from Tanaz Bhathena. What an accomplishment of a first novel!